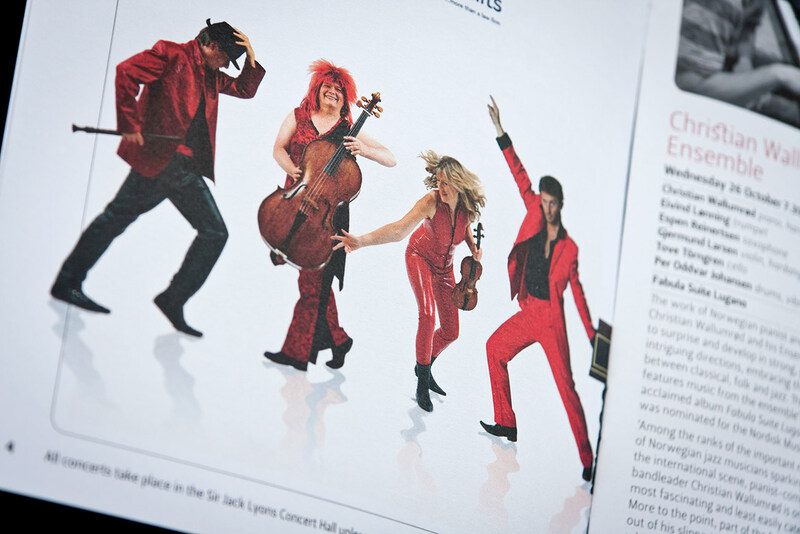 The University of York’s Music Department approached us to help them redesign their brochure to attract a wider audience to their events. 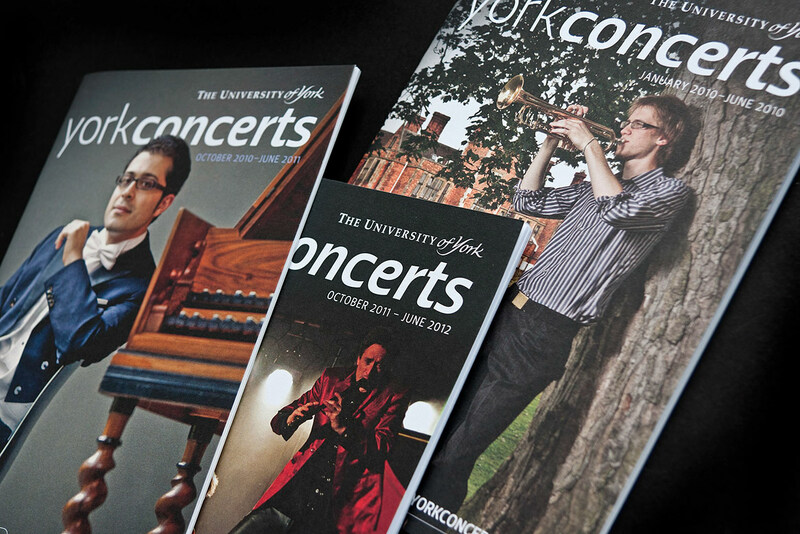 The old brochure was not a particularly effective marketing tool, reading more like a bus timetable than something that would interest university students and the public.By redesigning their brochure, York Concerts can effectively market themselves. 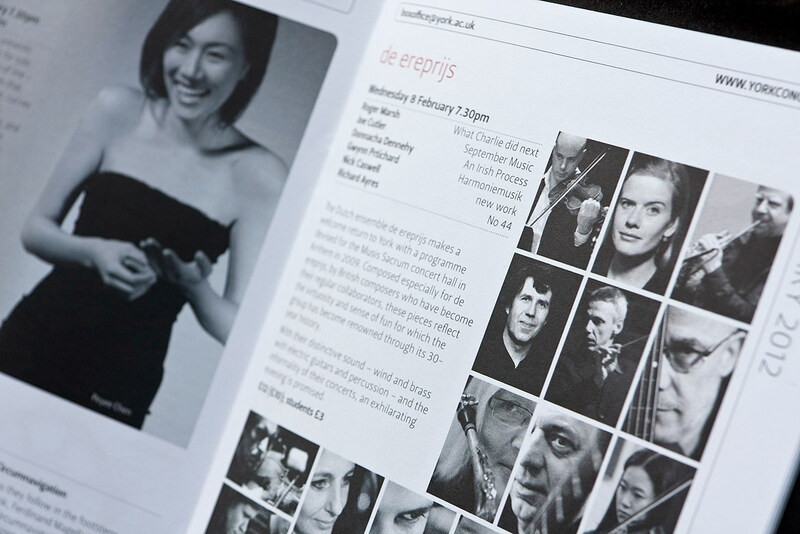 The booklet conveys the quality of the performances on offer. 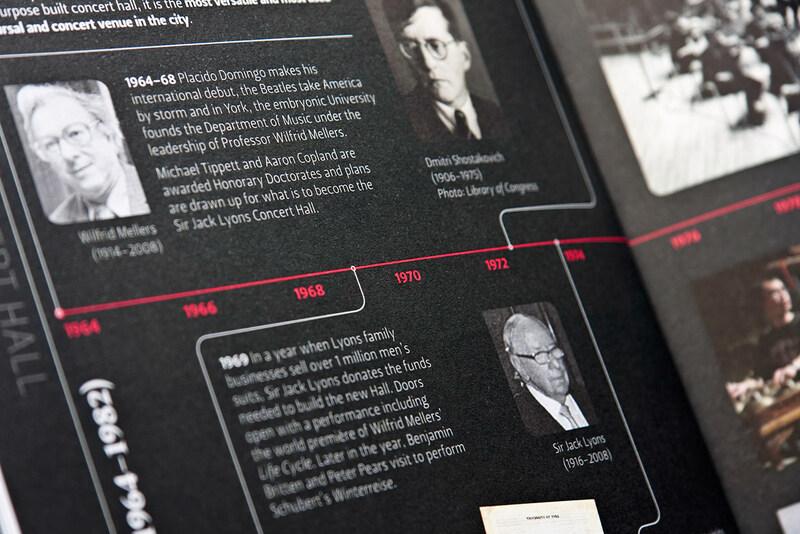 Modern touches to typography and layout, as well as its handy size allow for easy reading and navigation. 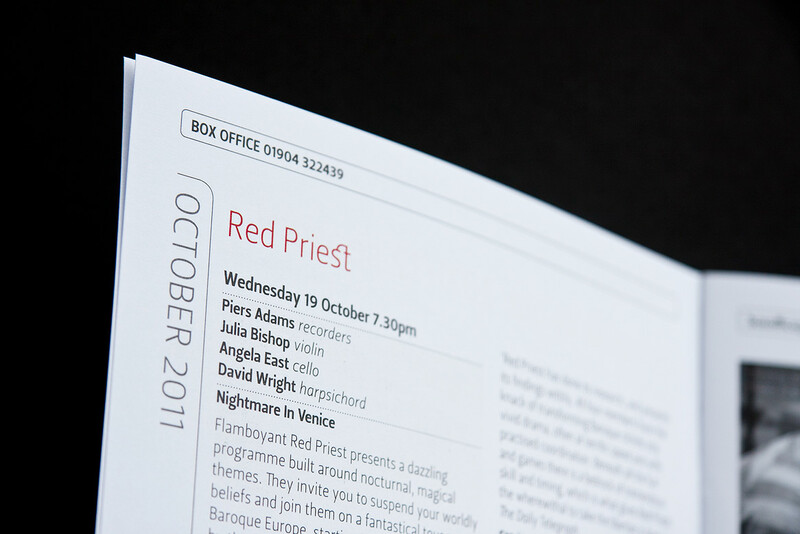 Moreover the redesign of the programme has increased attendance to the performances.